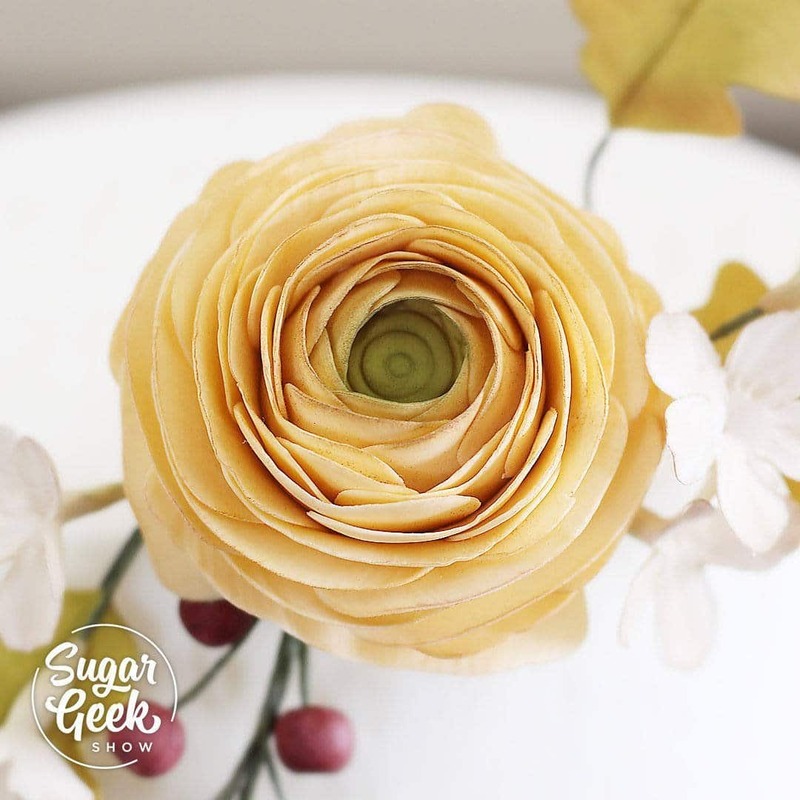 Guest instructor Ashley Barbey from The Little Vintage Baking Company brings us a beautiful autumn-themed Ranunculus flower tutorial. Ranunculus flowers are known for layer upon layer of silky petals, creating an amazing delicate bloom. Ashley combines this ranunculus with oak leaves, filler berries and flowers to create a stunning floral spray. Learn how to create these pieces and how to properly insert and arrange these flowers on a cake.